12 volt, 4 batteries charged by: engine, wind generator, solar panels, shore power, generator Generator is 2018 Honda portable gasoline type. 3000 W Inverter. 600 A Battery Bank. Shencker smart 30 watermaker from 2017. Dining table can be converted into an additional berth. New Bimini 2018 & full boat cover from 2017. 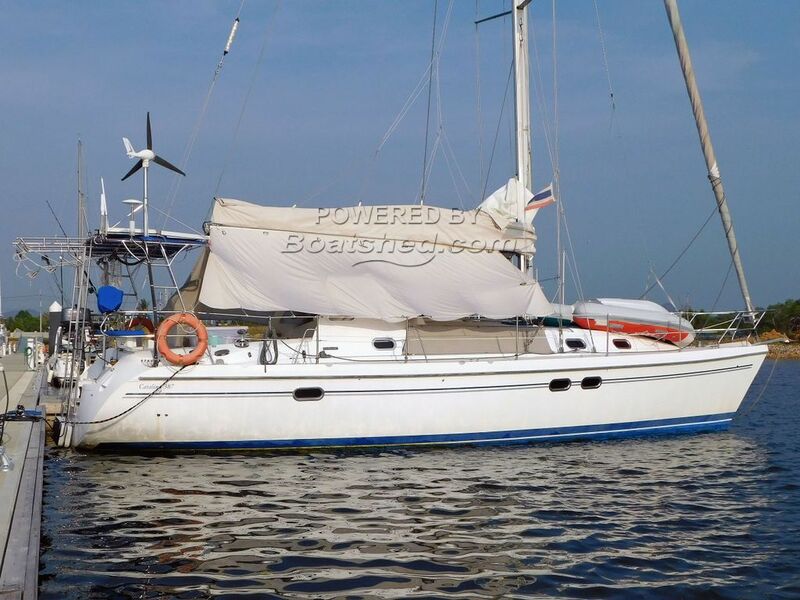 This is the shoal draft wing keel version of this popular model, well equipped and surprisingly spacious, the aft cabin would be the envy of many owners of much larger boats. A/C, Generator, 3000 w Inverter, solar panels, wind generator, watermaker, 600w battery bank etc. Many recent additions and renewals. This Catalina 387 Shoal Draft has been personally photographed and viewed by Alan Giles of Boatshed Phuket. Click here for contact details.